Galaxy Ace and Gio become the first ARMv6 smartphones to get CM10 ports. The most recent achievement of the indie dev community is quite impressive though. 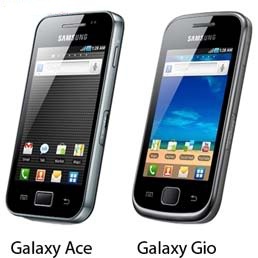 The Samsung Galaxy Ace and Gio – two smartphones based on the older-gen ARMv6 CPU – got CM10 ports, which will certainly be their only chance of tasting Jelly Bean. While the ROMs are still in the early alpha stages of their development, they already have support for most of the two smartphone’s hardware. They are some way off from being ready for everyday duties, but at least they give you a preview of what’s to come.